Do you love Montana's? 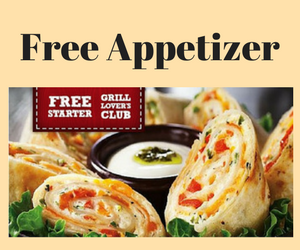 Sign up for the Montana's Grill Lovers Club and you'll get a coupon 1 free appetizer. Choose between a tasty spinach dip or an order of antojitos. Food is always tastier when it's free! Please be advised the coupon will have an expiry date based on the day you register and be sure to follow any other terms and conditions. If you like this offer, check out another one we posted for free food at Red Lobster when you join their loyalty program! Want more loyalty freebies? Check out all the loyalty program freebies and offers!